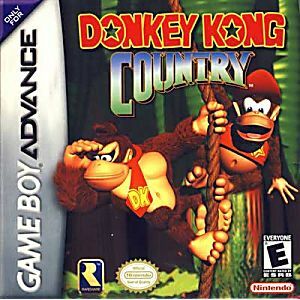 Donkey Kong Country GBA Game Boy Advance Game Cartridge Cleaned Tested and Guaranteed to Work! Let me say, i really really wish people would stop comparing the snes vs gba of this game, as they are different. That being said i really like this port a lot, it is not perfect but really close. And i am going to say this version is better than the snes version. It has all the same music as the snes version, which is a bonus, the physics are different granted, but the gameplay is the exact same, the benefit though in my eyes is the portability. That takes it over the top. Rare did great in this port! Also lukie shipped fast and it was in great condition and plays well! My daughter has several Donkey Kong games and loves all of them. PERFECT. PLAYING A LOT SINCE I HAVEN'T PLAYED IN YEARS. USED TO PLAY WITH KIDS AND IT'S LIKE OLD TIMES. 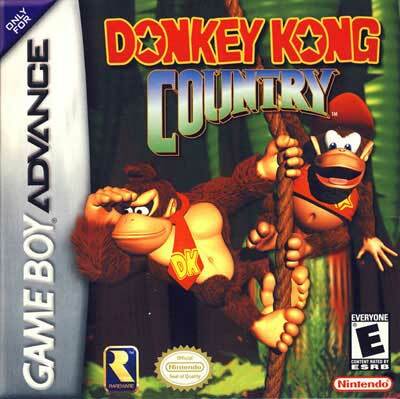 I love the Donkey Kong games! !